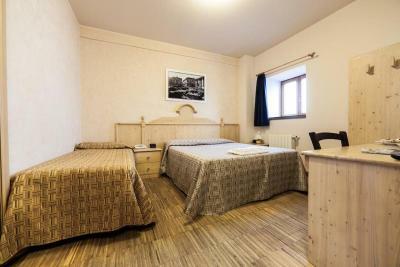 Lock in a great price for Rifugio Sapienza – rated 8.7 by recent guests! 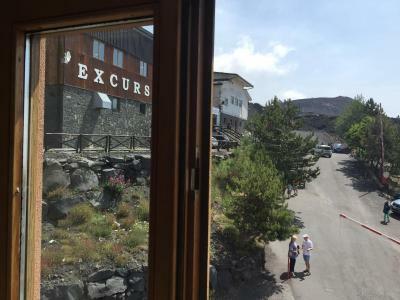 The hotel is in a very unique location up on Mt Etna, with the cable car right next door, and they offer a nice discount too. The restaurant was better than expected. Excellent value and location. good pizza. Awesome staff!We accidentally left our tablet behind and phoned them to see if anyone found it...sure enough, someone had and they mailed it back to us! Location. Friendly staff. Bed ok. Price ok. Plenty of parking available. Very old building but that’s part of its charm. Overall would recommend. The hotel is RIGHT at the cable car departure, perfect location. Excellent restaurant! 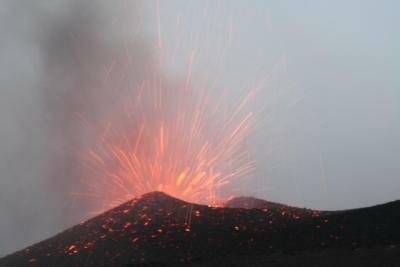 The location of the hotel on the Etna is simply breathtaking - whoever wants to plan an excursion on the volcano should stay there. It becomes magical at night when most people leave. 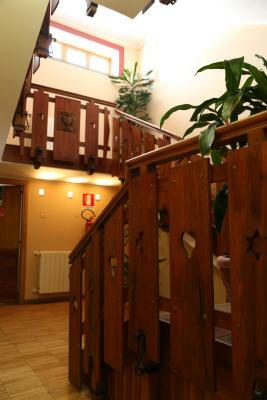 Plus the restaurant is really good and the facilities of high quality for a "refugio". Very comfortable for a rifugio at 1900m , great helpful staff, amazing location right next to the cable car, good value and a great-great restaurant, pizzas and pasta amazing! 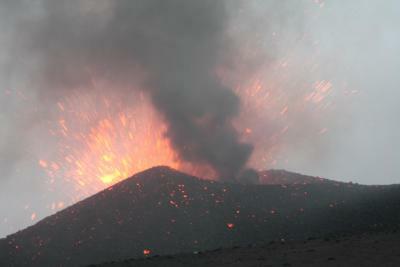 Loved the breakfast and of course the near proximity to Etna- you can be the first up there! 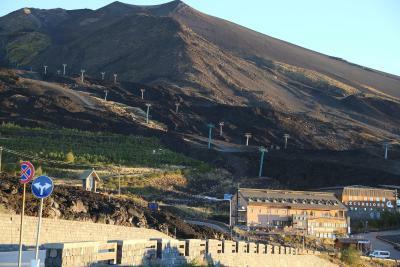 Great location, as high as you can get up Etna for accommodation, just beside the chairlift. 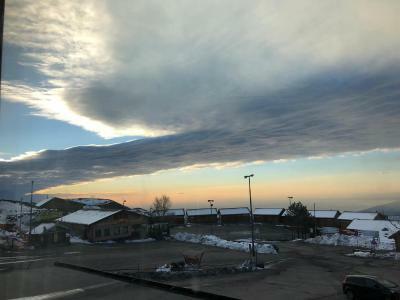 The Refugio can provide a voucher for a discount on the chairlift price but that does not include the 4WD bus that can then take you further toward the summit - not a consideration if you are walking. The room was fairly small but ample, air con would have been a bonus as it was very hot even with windows open. The included breakfast had a reasonable choice, meals in the restaurant came with huge, rustic helpings, very good value. After dark the view over Catania is absolutely breathtaking. 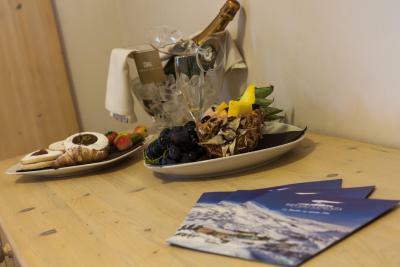 Mountain resort location providing choice of dates to visit Etna. 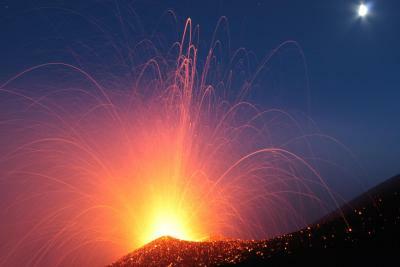 It is located immediately next to the ticket office for going up on Etna. The rooms are warm, VERY CLEAN (our baby was crawling on all fours and his clothes were clean!! ), very comfortable. We expected a bit more of a rustic facility, but no, it exceeded our expectations. 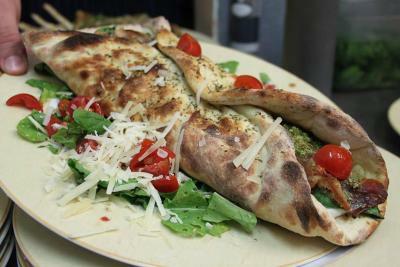 The restaurant serves great pizza and the waiters are very friendly. Breakfast is nice, sufficient with a focus more on pastry. We would love to go back again! PS: Big thanks to the guys at the reception for being so considerate with our baby! 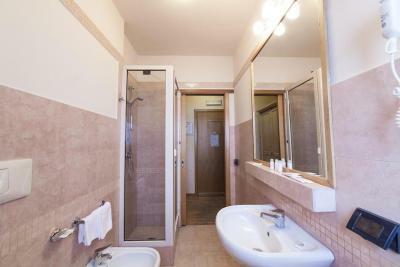 Rifugio Sapienza This rating is a reflection of how the property compares to the industry standard when it comes to price, facilities and services available. It's based on a self-evaluation by the property. Use this rating to help choose your stay! 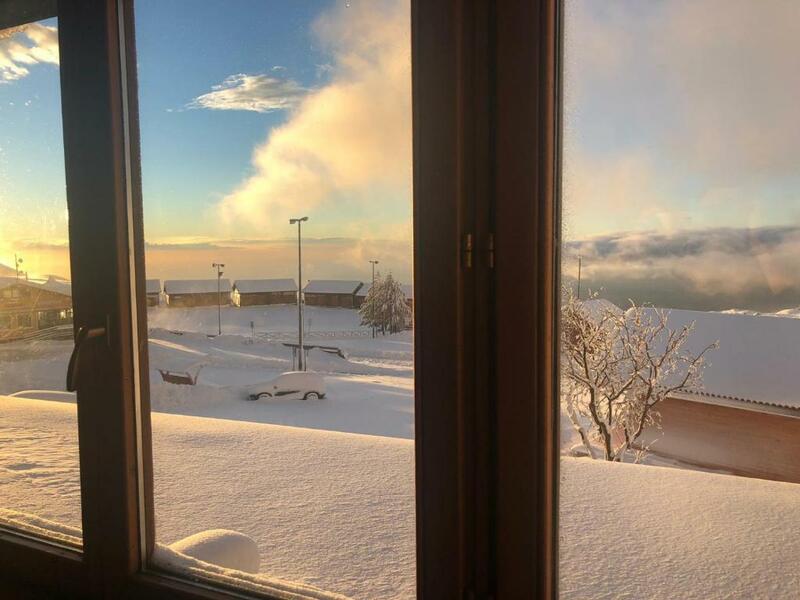 One of our top picks in Nicolosi.Featuring a traditional restaurant, Rifugio Sapienza is just 30 feet from the cable car linking to the top of Mount Etna. 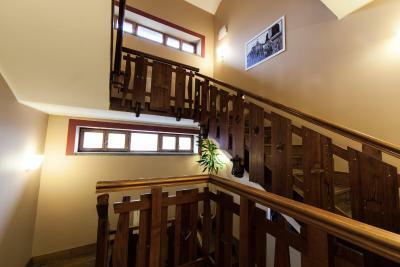 This property offers a bar, free ski storage, and a shared lounge room. With free Wi-Fi, rooms include a flat-screen TV, mini-bar and safe. 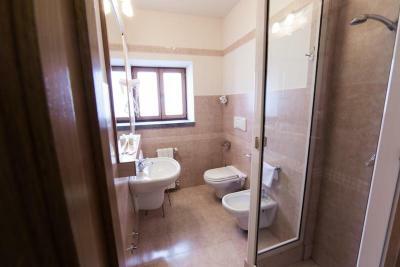 Each has a private bathroom with hairdryer and free toiletries. Rifugio Sapienza is 2.5 mi from EtnAvventura adventure park. Nicolosi center is a 25-minute drive away. This property also has one of the top-rated locations in Nicolosi! Guests are happier about it compared to other properties in the area. When would you like to stay at Rifugio Sapienza? 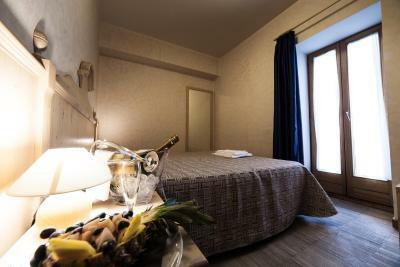 Offering free Wi-Fi, this room features a flat-screen TV, safe and mini-bar. The private bathroom includes a hairdryer and free toiletries. 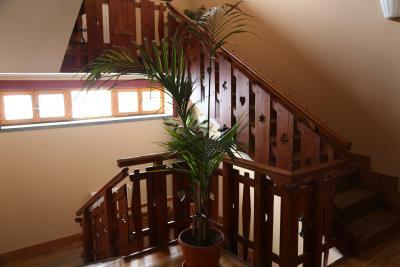 This room comes with 3 single beds or 1 single bed and 1 double bed. Please specify bed preference when booking. 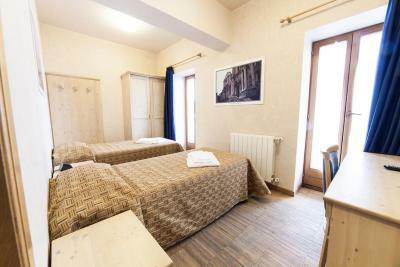 This room comes with 4 single beds or 2 single beds and 1 double bed. Please specify bed preference when booking. 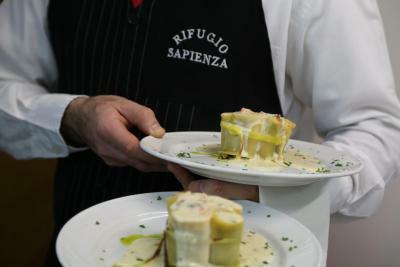 House Rules Rifugio Sapienza takes special requests – add in the next step! ATM card Rifugio Sapienza accepts these cards and reserves the right to temporarily hold an amount prior to arrival. 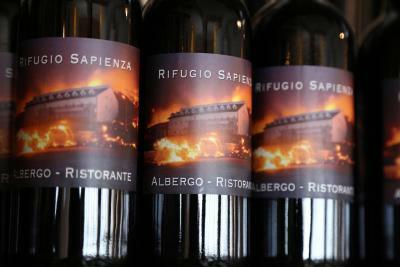 Rifugio Sapienza accepts these cards and reserves the right to temporarily hold an amount prior to arrival. Very poor coffee at the breakfast:( long lasting refilling of breakfast trays (scramble egg, ham, cheese). Not working elevator. Great location near the Etna entrance. Good pizza. The hotel is right next to the lift. 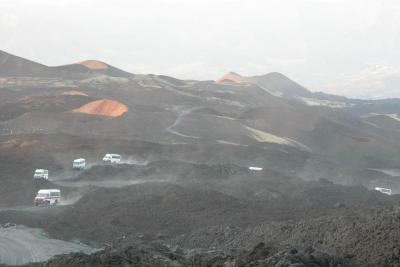 This place is perfect if you decide to visit Etna very early. The breakfast was very good. The staff-very polite. They let us arrived after 23:00. This was great. Free parking. Room was smaller than that on the picture when booking and bed was uncomfortable. 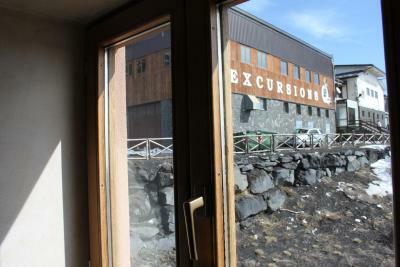 Location to Etna lift and breakfast was very good also hotel provided a coupon for a reduction in the lift price. Great view of the room. The staff really helped us, with one incident we had with the car. Great breakfast, happy people. Location near the cable car is excellent. The drinks and dinner in restaurant were great. Staff were friendly and helpful. Everything else was appalling. Broken parts which I had to fix or get help to fix were: suitcase table, TV, antenna cable & wall socket, frigerator ( two different units tried, one hot & one cool but not cold ), large air draft through bathroom window which I sealed with towels to stop cold wind, constant smell in hotel first floor corridor, sick from food served in restaurant but still charge me for my meal. Poor English skills from many of the staff but some tried to help but with limited resources. Management did not care. Great place, very quiet and peaceful. Food is absolutely glorious. 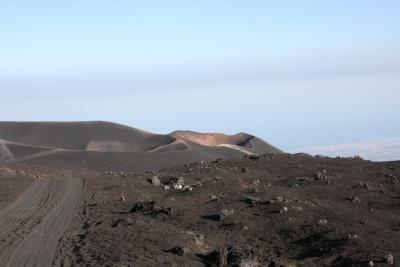 Activities nearby hikes around the creators and on mount etna, cable car, quadebikes. Would visit again. The bathroom had a bad odor so we had to run the fan most of the time, and the fan was very loud. Layout of the room was not very comfortable with a slopped ceiling across half the room. It was off-season so there were no other dining options nearby (not their fault). Fridge not working. Water was stopping in the morning for a couple of hours so we had to wait to flush the toilet or take a shower. Heaters were too hot and not able to turn off. Cleaner a bit rude, no good morning or thank you. Despite staying in hotel, one still needs to pay €2 of coperto in the restaurant. Location. Check in time. Amazing pizza. Most staff are friendly. Easy parking. The free wifi is too poor and streaming on tv programs. Meal times were rigidly applied which meant we could not eat anything at our "normal" times and spent a lot of the time hungry. The room is small but good enough. 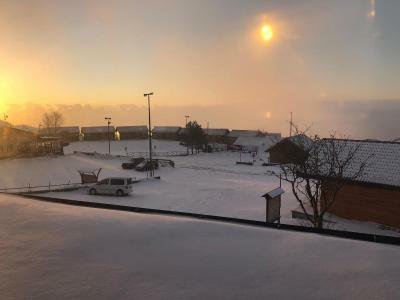 It was cold much of the time, but too hot overnight.. no idea why. Great location on the mountain. But nothing else here except the mountain (fine for us!). Great location. Food was good and not too expensive. The breakfast was great. 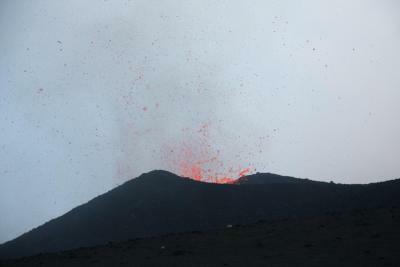 Location is one of the best on Etna. I hope we will return someday to this hotel.